In celebration of Women’s History Month, the Polk State College Foundation is thrilled to present this exciting annual event on Thursday, March 9 on the Winter Haven Campus and Friday, March 10 on the Lakeland campus. Click here to make your reservation! 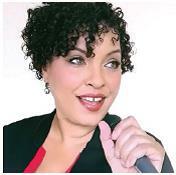 This year we enthusiastically welcome Top Selling Author and International Motivational Speaker Dawnna St Louis. Dawnna delivers a motivational content-rich message of best practices that work. The innovative mind of Dawnna St Louis delivers an experience you’ll never forget. Since its inception in 2007, Wise & Witty Women and Many Magnificent Men has enjoyed sellout crowds of guests throughout our community who have savored this delightful and inspiring event, knowing they are helping Polk State College students soar to their highest potential by supporting Polk State College Foundation scholarships. The Foundation takes tremendous pride in its ability to help numerous students attain their dream of a higher education because of funds raised through events such as this and through the generous philanthropy of individuals, corporations, organizations and foundations throughout the year. Please join in the fun on Thursday, March 9, 2017 from 12:30 p.m. to 2:00 p.m. at the Polk State College Winter Haven Campus Student Center, and Friday, March 10, 2017 from 12:30 p.m. to 2:00 p.m. at the Polk State College Lakeland Campus Technology Building. Please click here to make your reservation! Reservations are $50 per person. For more information, to RSVP by phone or for sponsorship information, please contact Lynda McDuff at 863-297-1071.